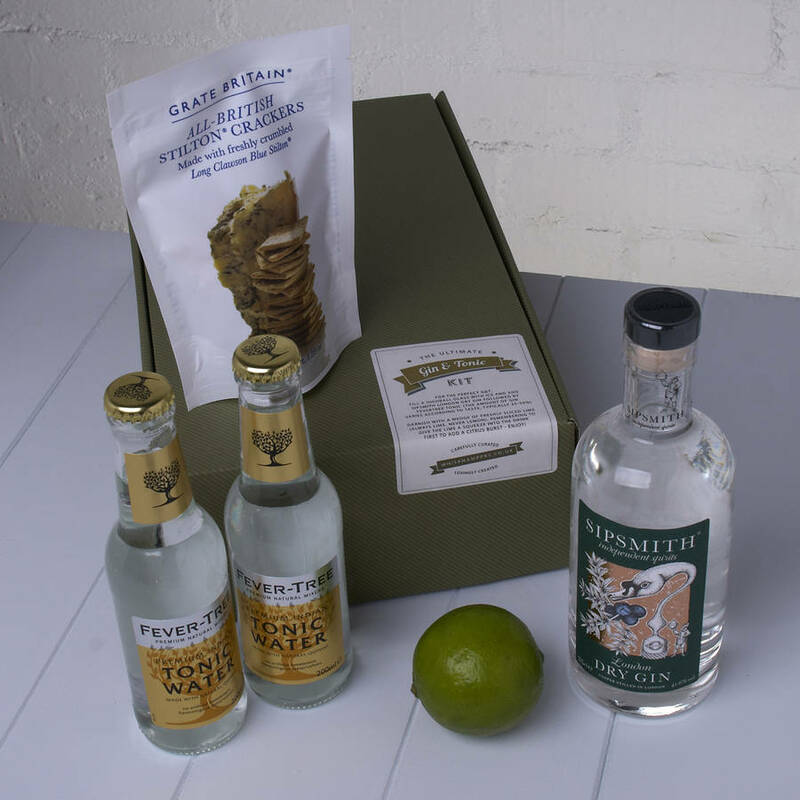 The Ultimate Gin and Tonic Kit to create the most quintessentially English of drinks, the G&T. 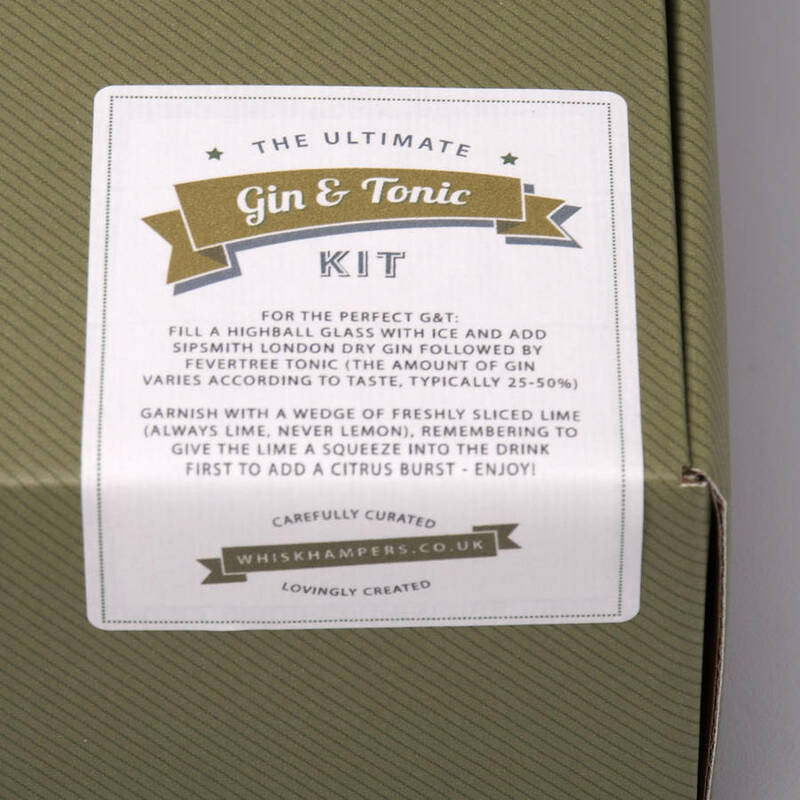 For gin and tonic lovers this gift is essential. We've combined all they’ll need in this wonderful kit; Artisan Sipsmith London Dry Gin and premium Fever-Tree Tonic Water to create the ultimate G&T experience. We've even added a packet of mouth-wateringly moreish cheddar crackers to be enjoyed. Often there are moments when a brilliantly refreshing Gin and Tonic is the only thing to truly hit the spot… whether that is a summer’s day or Friday night at six. 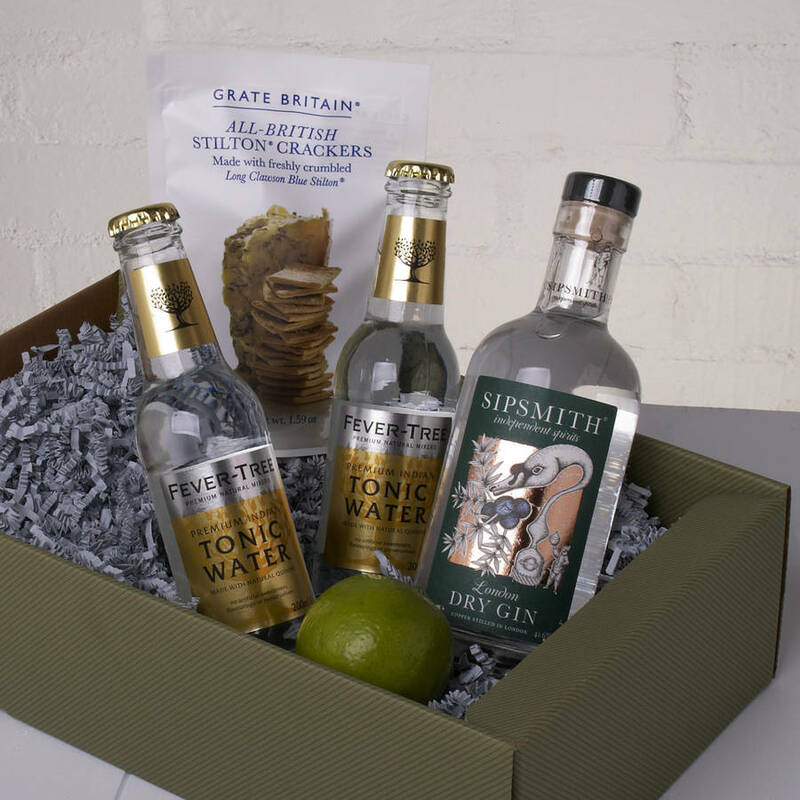 What a blissful experience for your recipient to open, a perfectly packaged cocktail ready to go, to suit many occasions from a birthday in the family to congratulating a colleague. 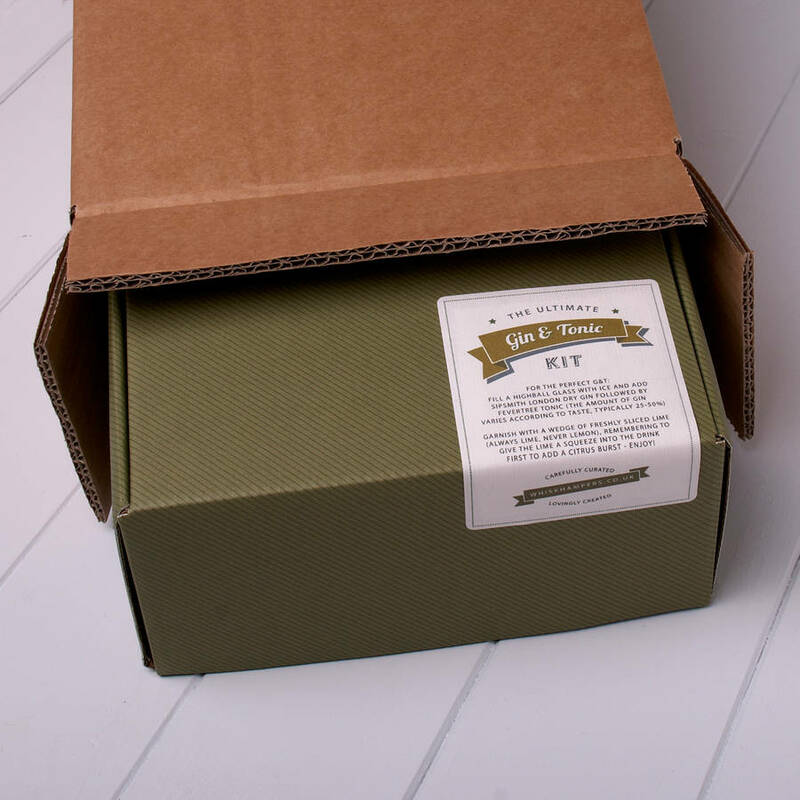 Packaged in an olive green gift box lined in cool grey shred together with your personal message on a mini whisk tag. 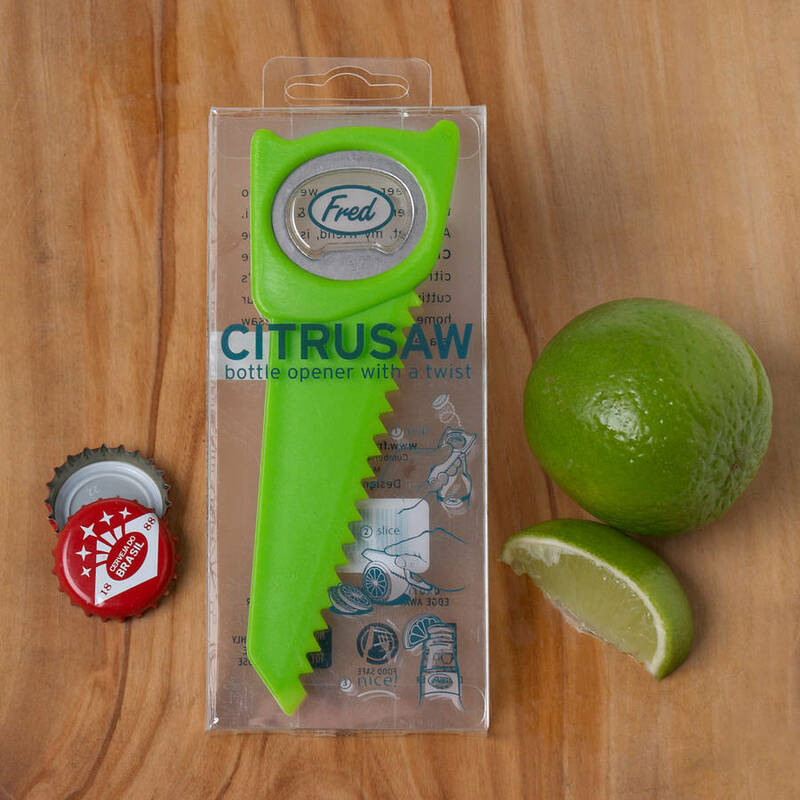 Why not add a handy Citrusaw Bottle Opener perfect for a decent wedge of lime and with a bottle opener at the other end this is the ultimate bar mate to the Gin and Tonic Kit, cutting edge barware. This product is also available as a corporate gift. To discuss your corporate gift needs, enquire about product personalisation and place your order please contact our dedicated corporate gift service team on 0344 745 9626 or by submitting a 'contact me' form on the corporate gifts page. 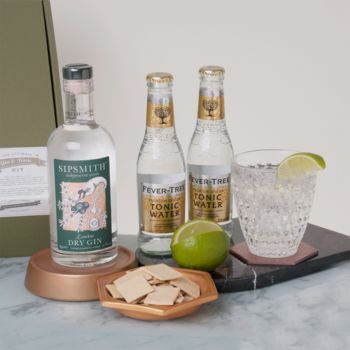 Sipsmith london dry gin 35cl - a London dry gin that is smooth, full of character and exploding with flavour. 2 x fever-tree premium Indian tonic water 200ml. Wookey Hole Cheddar Crackers 45g.